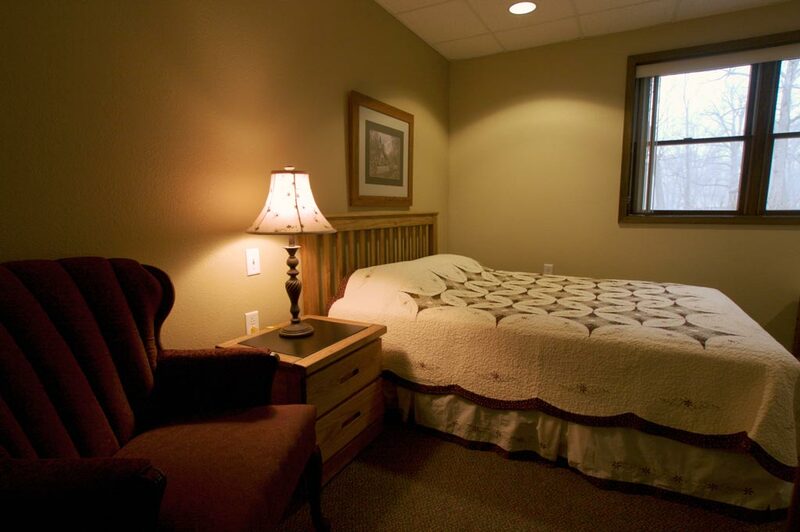 The accomodations in Bankson Lodge are our most comfortable and modern. 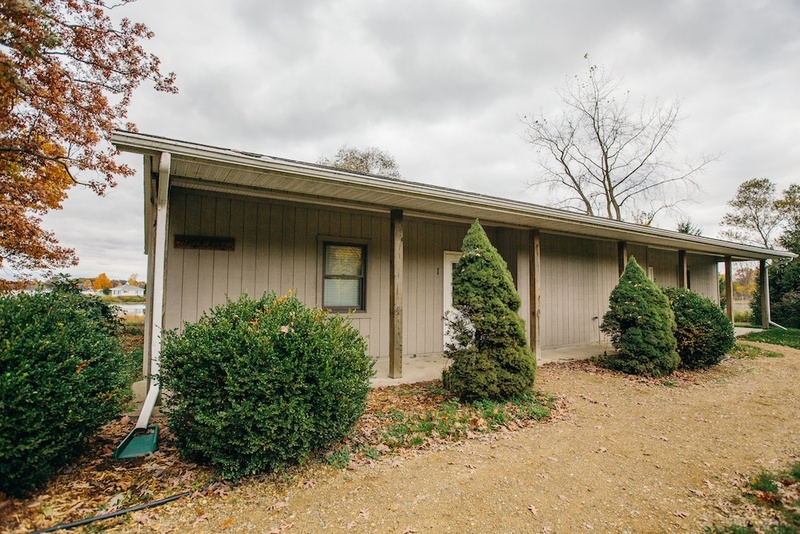 This building has a beautiful view of Bankson Lake and the comfortable 23 hotel style rooms which can sleep up to 5 people in each room. A conference room and large meeting room provide excellent places for your group to connect while a comfortable lobby and lounge provide for great interaction and fellowship. 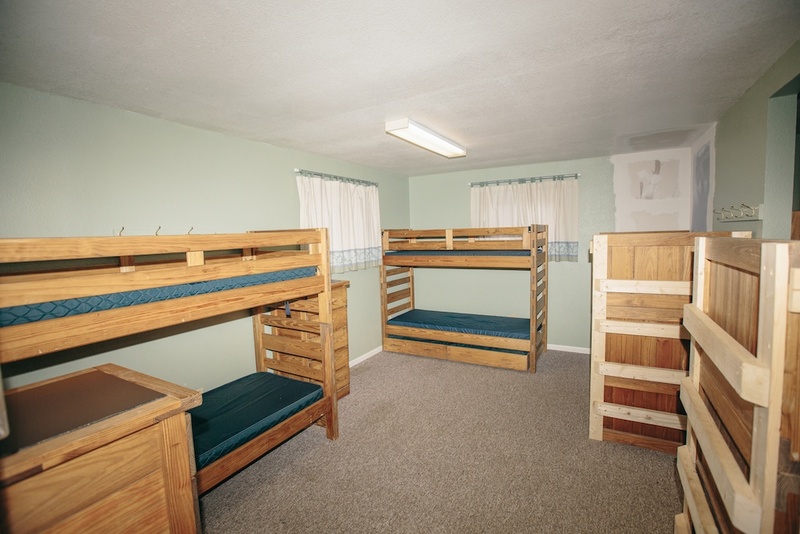 Rooms have a queen bed and two twin beds (plus a trundle). Each room has its own private bathroom and shower. Room sleeps a family of 5 or 4 adults comfortably. 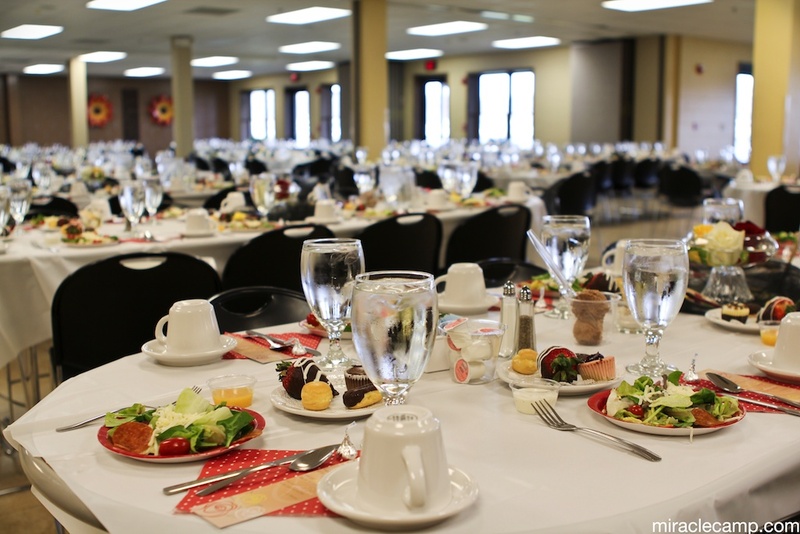 Located in lower Bankson Lodge, the Meier Dining Hall is perfect for your banquet, reception, or rental. 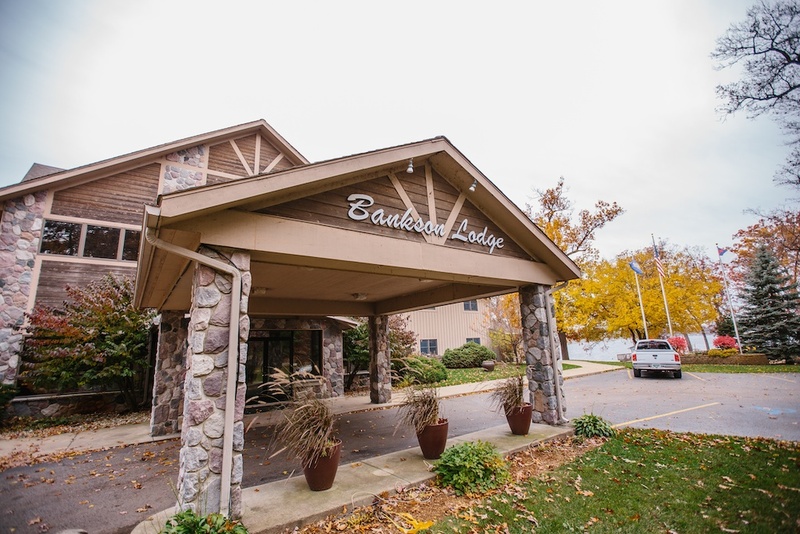 It has a beautiful view of Bankson Lake and can accomodate fine dining or casual events. 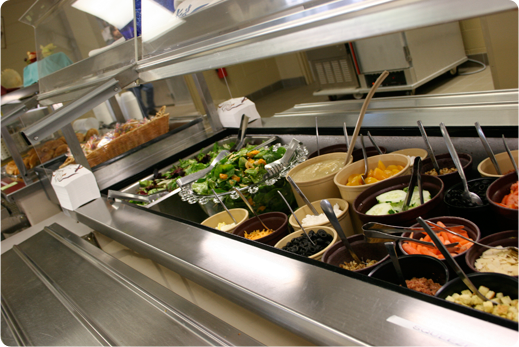 Between 300 to 350 people can be comfortably seated in the dining area. For smaller groups the room can be sectioned into smaller more intimate settings. Whatever the size or nature of your event, we can customize the setting to fit you. Please contact us for more information. The Smith Gymnasium is the perfect location for group games and free time. 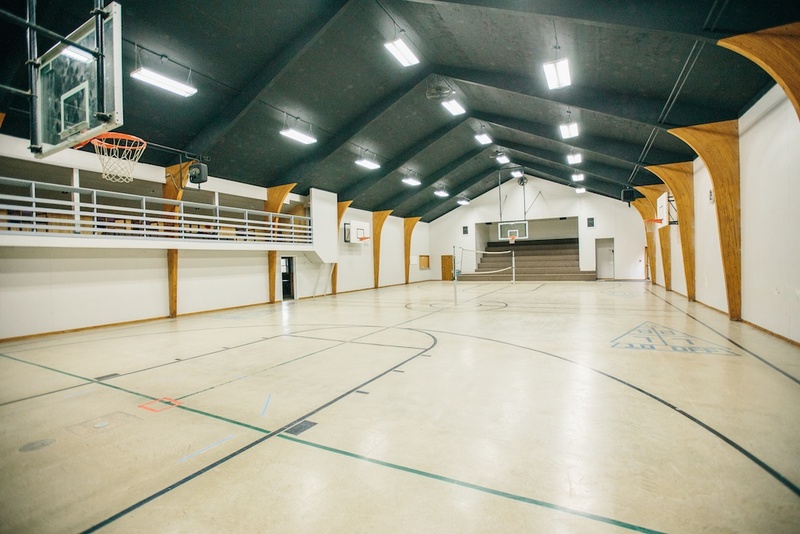 It is a full court gym that is perfect for basketball, dodgeball, volleyball and much more! 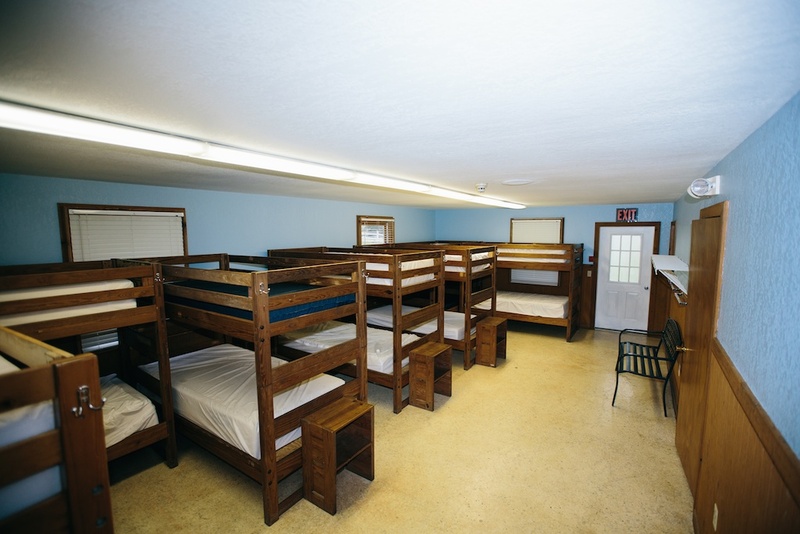 In addition, this building holds our camp store, a game room, and a 25 foot climbing wall. 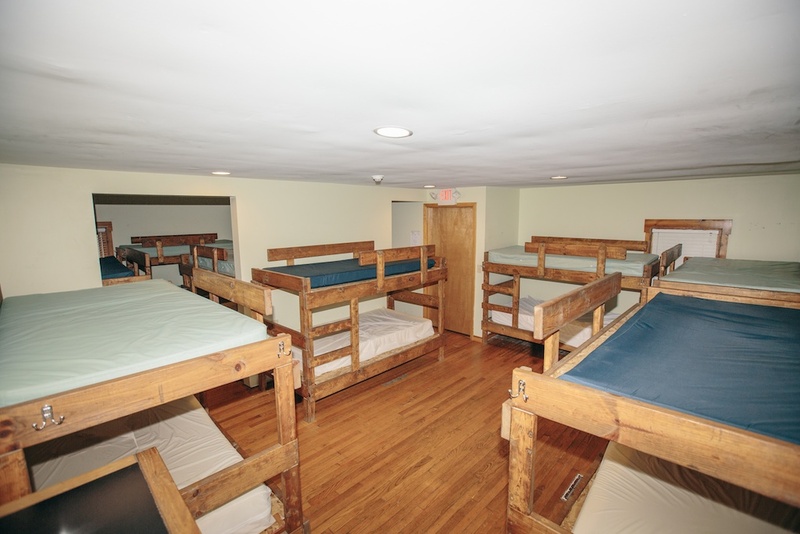 Woodlands is one of our most requested housing options for family reunions and smaller retreats. This building sleeps up to 48 people in 8 rooms. In the center of the building is a meeting area, lounge, and dining area. 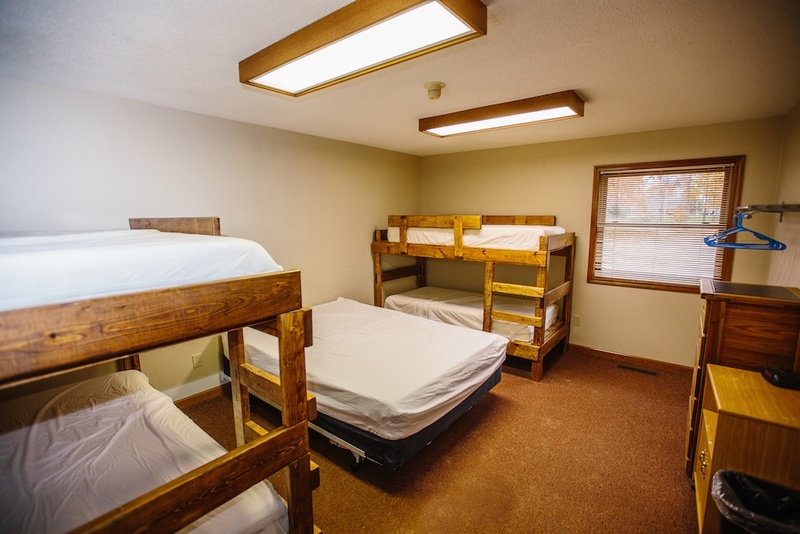 Woodlands is a very comfortable and flexible lodging facility. It also provides a full service kitchen and has an overlooking view of the Bankson wetlands. 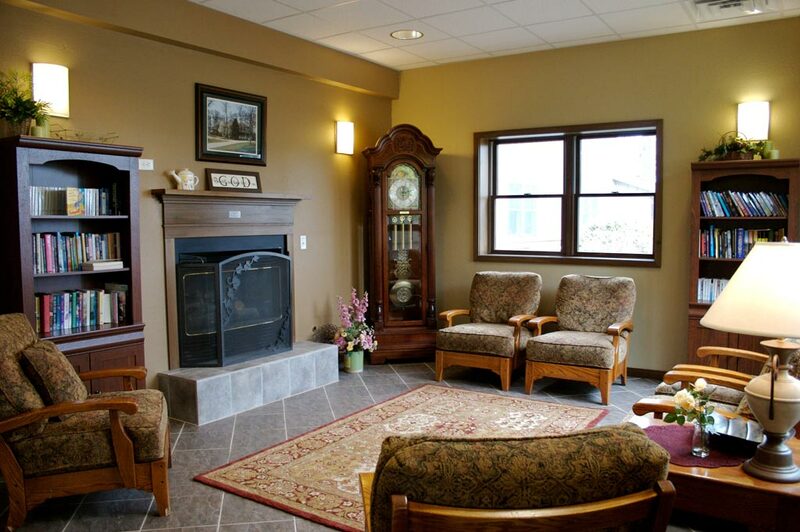 Maple Ridge has two identical rooms that each hold 17 people for a total of 34. 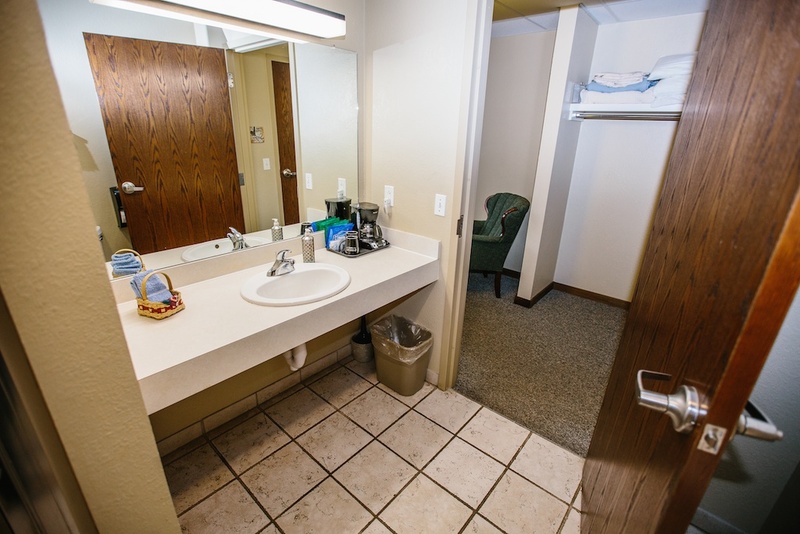 Each side has its own clean and spacious bathroom with private shower stalls and three sinks. Maple Ridge is neighbors with Evergreen and is perched between the beach and Homer Field, our main activity area. Hickory is a two-sided cabin with each side having its own bathroom. Each side will house 14 people. 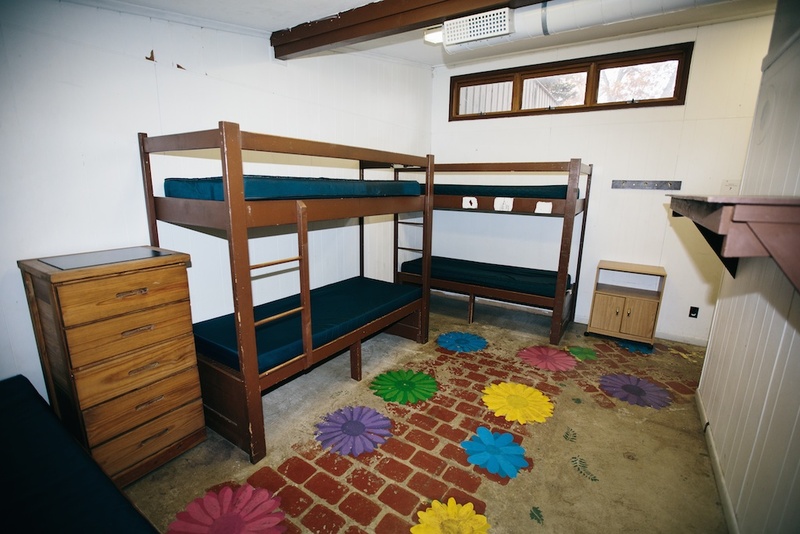 There is also a unique connecter room between the two halves that sleeps four and has two desks. The total housing capacity is 32 people. 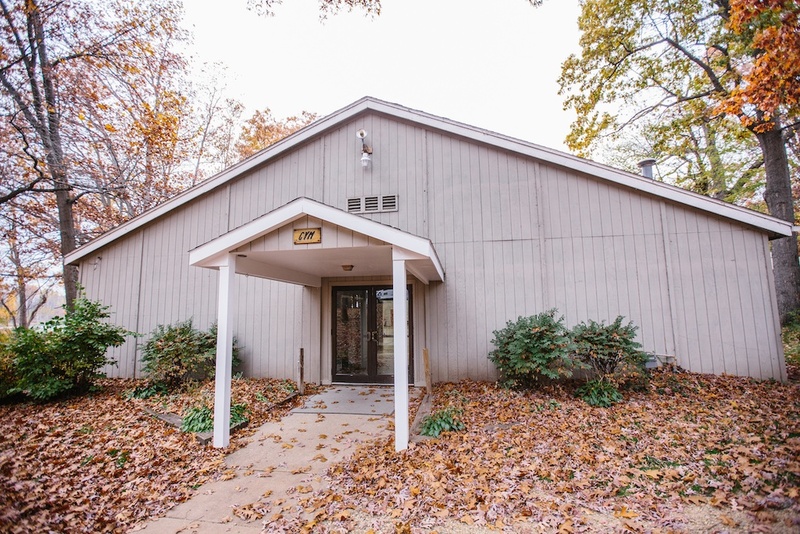 Hickory is located near the crossing path for easy access to the Back 40 and is in easy walking distance to the chapel and dining hall. 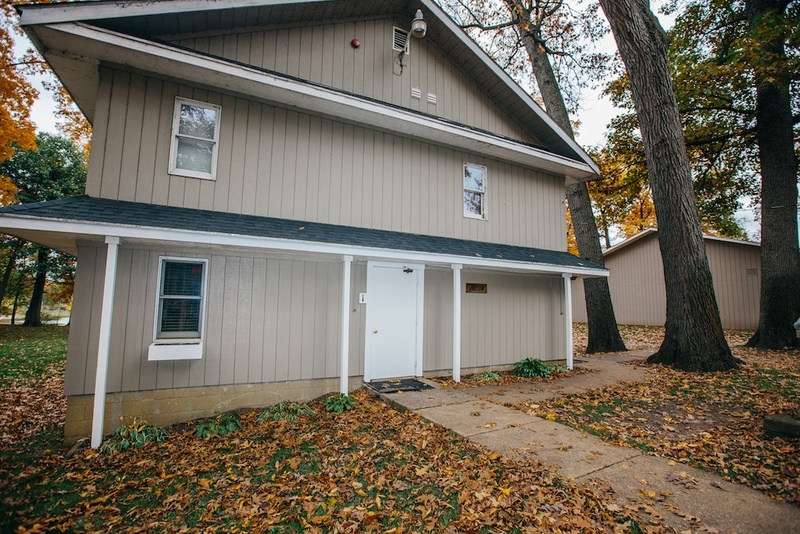 Judson is the perfect building for a youth or college group. It will hold 71 people divided into 2 floors. Each floor is made up of two rooms joined by a middle community bathroom. 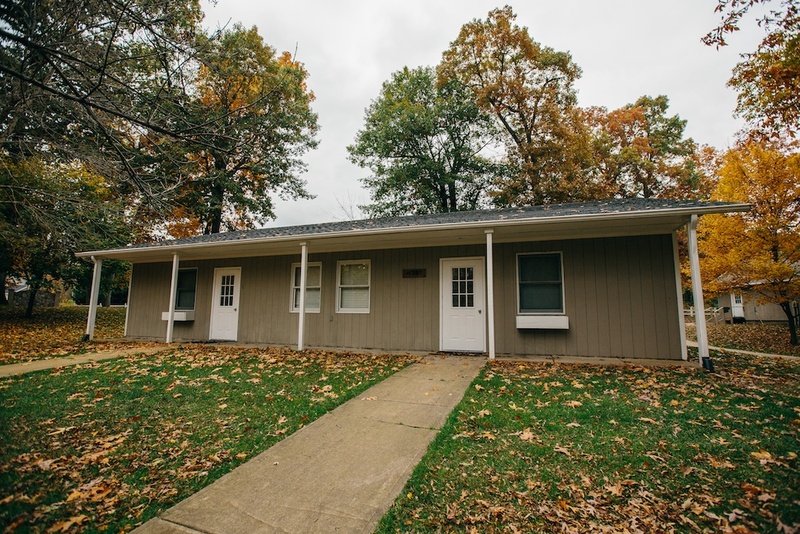 Judson is centrally located for easy access to the chapel and dining hall as well as the woods, trails and activities across the street. 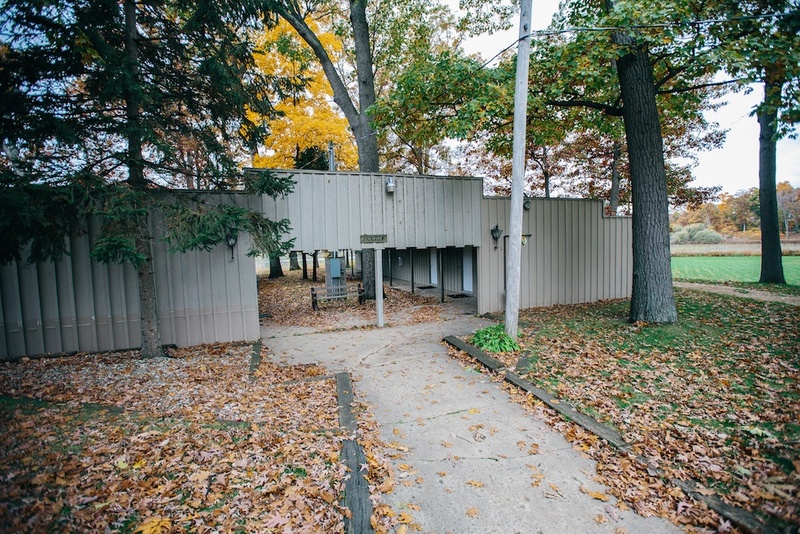 Right outside the doors are a firepit, gazebo, and beautiful view of the lake making Judson perfect for your group. Evergreen is one of our most unique buildings. Constructed around a small group of trees, the middle courtyard provides a natural atmosphere to the building. 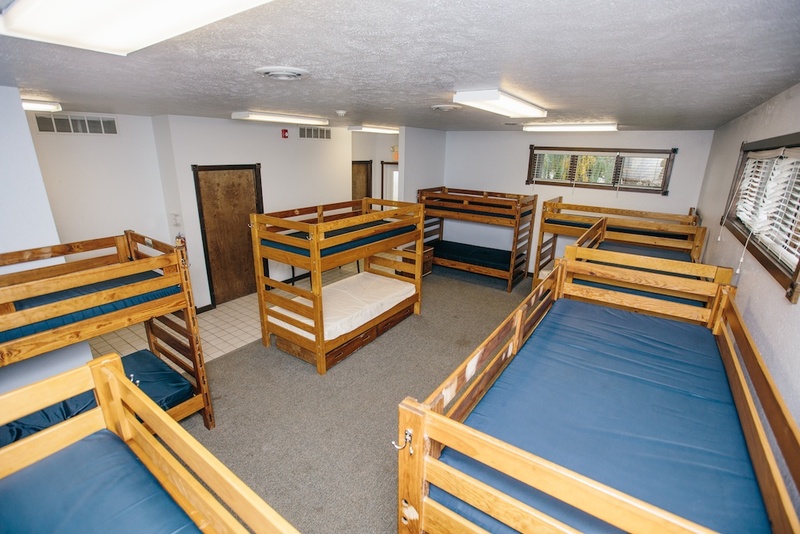 The perfect location for a medium to large-sized youth group, eight rooms hold a total of 48 people with the ability to convert to four suites or any combination of each. Each room has its own private bathroom. 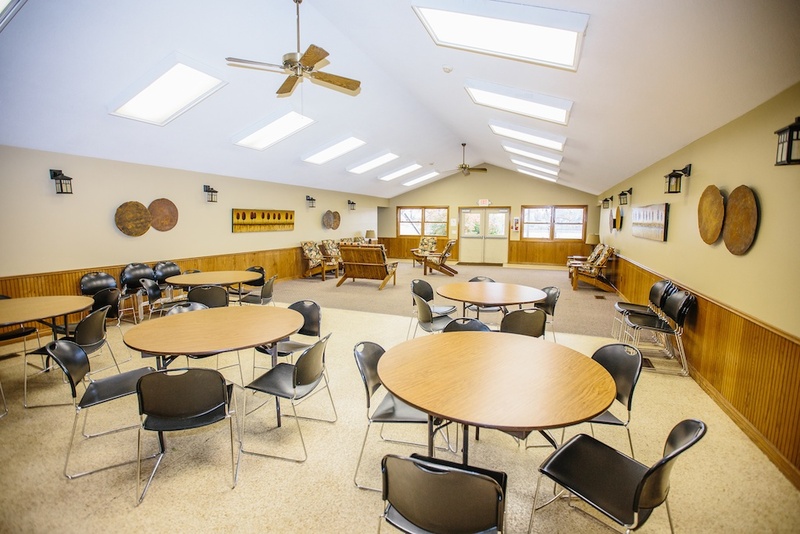 It is conveniently located near the lodge dining hall and has a beautiful view of Bankson Lake. 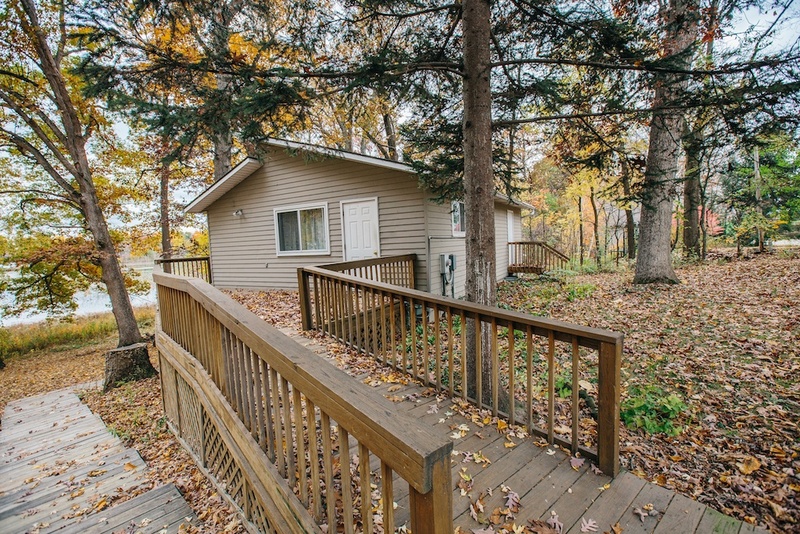 Lakeview is the perfect lake cottage for your family or small youth group. It has a quiet secluded location to provide you with a quiet place with a beautiful deck view of the Bankson Lake wetlands. A kitchen and small living room on the upper level enable you to cook your own meals. A firepit is located out back. Lakeview will hold 15 people on each level for a total of 30.